CAPS is a project I've been working on off-and-on since 1987 when I started in the master's program at the MIT Media Lab. The basic idea is to capture the important biomechanical properties of the human face to help surgeons make decisions about how to best plan a plastic surgery. Here's the detail on how this is accomplished. I only had paper copies of these older publications, so these PDF files are made from image scans (so the files are large and may be slow to download). 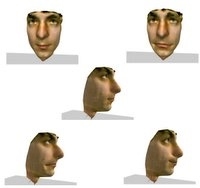 Pieper, S. "CAPS: Computer-Aided Plastic Surgery", Ph.D. thesis, Massachusetts Institute of Technology, 1991. 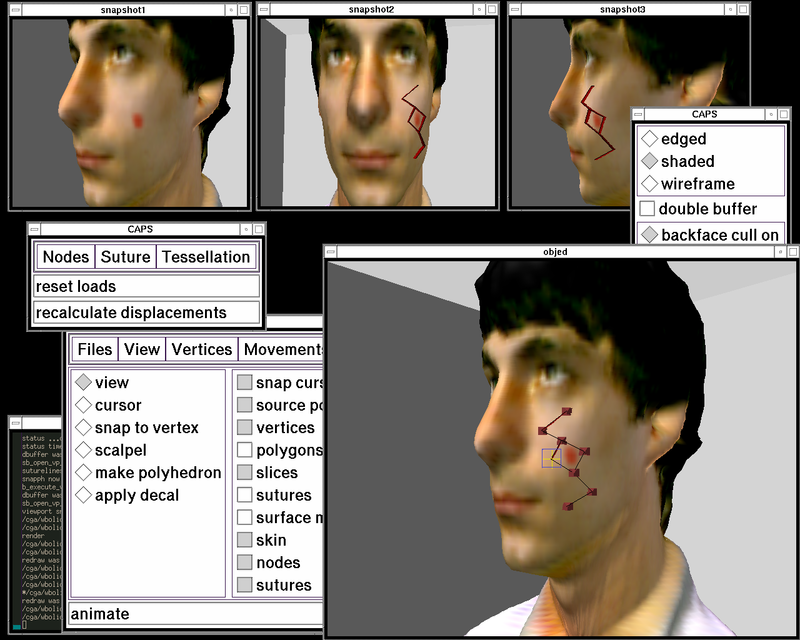 Pieper, S., Rosen, J., & Zeltzer, D. (1992), "Interactive graphics for plastic surgery: A task-level analysis and implementation". Proceedings of the 1992 Symposium on 3D Graphics, (pp. 127-134). Cambridge, MA; ACM Press. Pieper, S., Laub, D., Rosen, J., (1995), "A Finite Element Model for Simulating Plastic Surgery", in Plastic and Reconstructive Surgery, Vol. 96, No. 5 (pp. 1100-1105). I've done work with Digital Elite in Los Angeles (no longer in business) to take advantage of their expertise in facial animation. We recently published a paper on integrating an MRI-based model with a color surface model. 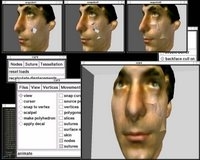 In the future we hope to integrate their facial animation control software to generate muscle sequences to plug into the biomechanical simulations. I currently do research in collaboration with the Surgical Planning Laboratory (SPL) at Brigham and Women's Hospital (a teaching affiliate of Harvard Medical School). 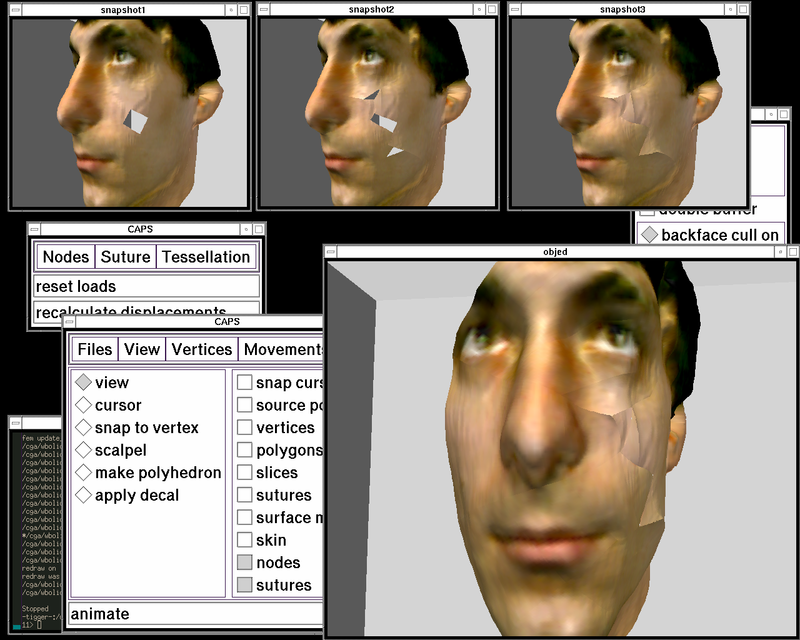 With the SPL, I work on the 3D Slicer medical research software and a variety of other projects. CAPS is not related to my work at the SPL. The CAPS software is still a research project and is not available in source or binary form. There have been some nice articles about CAPS in the press. Copyright Steve Pieper. All Rights Reserved.